CIVIL society organisations have rejected government allegations that they are working with the opposition to push a a regime change agenda aimed at unseating President Emmerson Mnangagwa's administration. 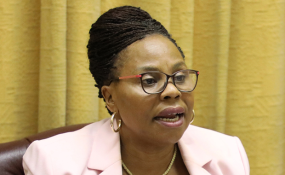 Information minister Monica Mutsvangwa claimed that non-governmental organisations (NGOs) worked with the opposition MDC party to organise last week's countrywide protests. A lethal response by the embattled administration left 12 people dead and dozens injured while hundreds were arrested. Government also banned the internet for much of last week. Although services were later restored access to social media sites such as Twitter, Facebook, and YouTube as well as use of the popular text messaging platform WhatsApp is still banned. In a statement at the weekend, the National Association of Non-Governmental Organisations (NANGO), said there was no regime change agenda. The umbrella group for local NGOs blamed the violent protests on poor government policies. "The policies that government has been implementing have not been popular with citizens and the same policies do not improve the standard of living," said NANGO. "This has, therefore, resulted in widespread demonstrations across the country mainly in Harare, Bulawayo, Mutare and Kadoma and Mvurwi among other areas." The group urged the government and state to security agencies to exercise restraint respect the sanctity of life as they respond to demonstrations. Protestors were also urged to respect the rights of other citizens while key players in society were urged to resort to dialogue in resolving differences. "We, therefore, recommend that there be dialogue that includes political parties, business church and civil society," the group continued. "(Govt must also open) up communication platforms to allow free access to information by the public, investigations (should also be carried out) into the disproportionate use of force by security organs while those arrested should be allowed access to medication and fair trial. "The Southern Africa Development Community to intervene and broker a deliberation to map the way forward in the event that internal engagements fail to reach a common position." The government's response to the protests has been condemned by the United Nations human rights commission, the European Union as well as countries such as the United States, Britain and Canada.